The keel for Lauzon, Quebec’s Davie Shipbuilding Company’s hull #690 was laid September 22nd, 1964. Built to meet the dimensions allowed by the new St. Lawrence Seaway opened in 1959, this new Canadian Great Lakes bulk carrier was launched April 14th, 1965 as the Lawrencecliffe Hall (2) on behalf of the Hall Corporation of Canada Ltd., Montreal, QC. 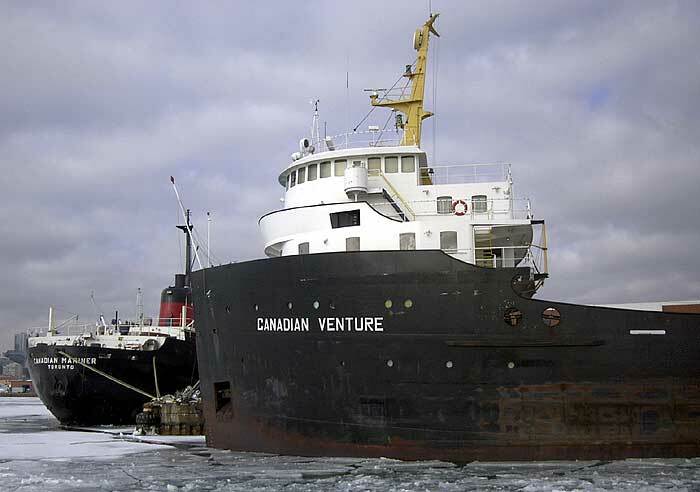 The actual registered owner of the vessel at launch was the Industrial Acceptance Corp., Montreal, QC who immediately bareboat chartered the laker to Hall Corporation (later known as Halco) for operation and management. Canadian tax laws in the early and mid 1960’s allowed shipping companies to approach and work with financial backing partners to fund “new builds” such as this being built in Canadian shipyards. (There were exceptions to this when Canadian yards were booked to capacity and there was an immediate identified need for the “new build”.) The funding partner would retain ownership of the vessel benefiting from financial write-offs for the use of their funds with the shipping companies having complete control of the new vessels. This method of financing was used by many Canadian shipping companies at this time. Hall Corporation acquired ownership of the Lawrencecliffe Hall in 1969. The Lawrencecliffe Hall had three namesakes. The “Lawrence” was to honor the St. Lawrence River as being the gateway to the Great Lakes, their ports and markets. The Hall Corporation suffix “cliffe” seen on many of their vessels was to honor many of the towns in northeastern England also incorporating the suffix “cliffe”. Mr. Albert Hutchinson, born in Ayecliffe, England in 1889, became secretary of the Hall Corporation of Canada in 1927, vice president in 1936, president in 1945, and chairman of the board in 1951. The “cliffe: suffix was a nostalgic reminder of Mr. Hutchison’s childhood days in England. The second word “Hall” also seen on many of Hall’s vessels was in honor of Hall Corporation’s founder Mr. George Hall of Ogdensburg, New York. 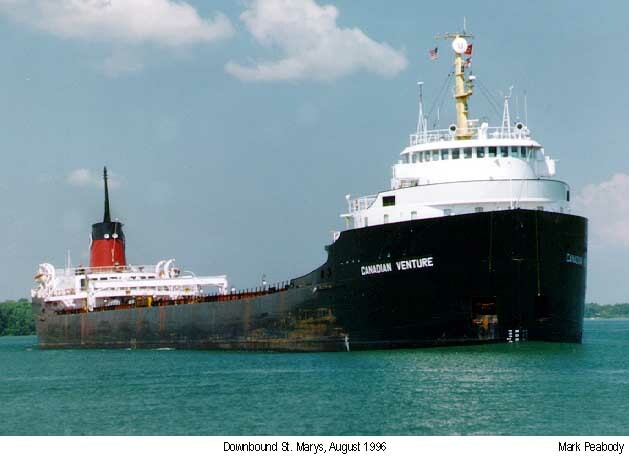 Although the Lawrencecliffe Hall was considered to be a “730-footer”, the laker claimed the “Queen of the Lakes” honor for being the longest vessel on the Great Lakes when launched in April of 1964. The bulker’s length was 730’03” (222.58m). The title was retained until April 1st, 1972 when the honor was passed to the 1,000 foot (304.80m) Stewart J. Cort. The Lawrencecliffe Hall, however, holds the dual distinction of being the first diesel powered vessel to hold this honor as well as having been the last straight deck bulk carrier to have claimed this title. The Lawrencecliffe Hall was initially powered by 4 Canadian built 2,000 b.h.p. Fairbanks Morse 12-38D8-1/8 opposed piston 12 cylinder diesel engines and 2 auxiliary American built 700 b.h.p. Caterpillar D398-TA V-12 cylinder diesel engines all burning marine diesel oil giving the vessel a combined 9,400 b.h.p. The Caterpillar diesels were the electricity generators for the ship and when not needed for this purpose, they could be clutched through the central gearbox with a single output shaft providing additional power to the single controllable pitch propeller. Termed “side-drive”, this engine configuration was first used on the Canada Steamship Lines laker Saguenay (2) launched in 1964. This configuration proved to be problematic with the two different engine types each having different load bearing characteristics resulting in the auxiliary diesels being disconnected from the gearbox early in the vessel’s career. The Lawrencecliffe Hall was capable of carrying 28,050 tons (28,501 tonnes) in 6 holds serviced by 17 hatches at the laker’s mid-summer draft of 27’05” (8.36m) and 26,364 tons 26,788 tonnes) at a Seaway draft of 26’03” (8.00m). The Lawrencecliffe Hall entered service on June 5th, 1965. 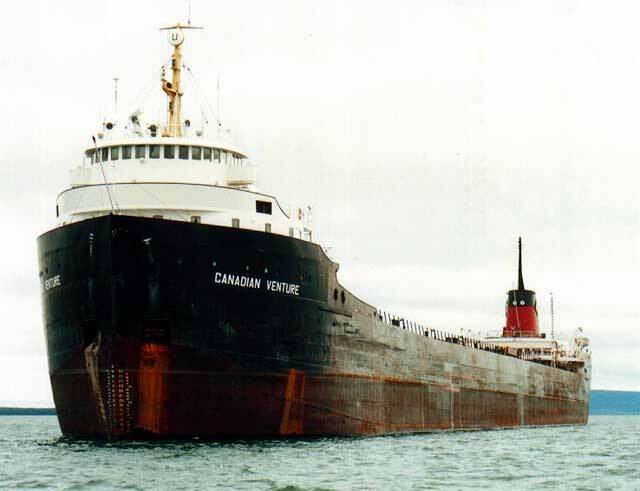 On October 25th, 1965; the bulker loaded a record wheat cargo at the Canadian Lakehead bound for Montreal and also set a passage time record from the Soo to Montreal on the same trip. Later that year, on November 16th, after loading iron ore at Port Cartier, QC bound for Conneaut, OH; the Lawrencecliffe Hall collided with the 12,339 gross ton British general cargo carrier Sunek during a snowstorm on the St. Lawrence River 14 miles east of Quebec City, QC. An attempt was made to beach the stricken laker but high tide moved the vessel off shore where it rolled over onto its starboard side and sank in 35 ½’ (10.82m) of water off of Isle D’Orleans. All 24 of the crew were safely rescued. The massive salvage effort through the winter included the pumping of compressed air into the holds to displace the water, laying a 2,700 ton layer of gravel on the river bed, and affixing 13 cables from the hull to 13 bulldozers on shore which slowly pulled the vessel to an upright position. On March 16th, 1966; the Lawrencecliffe Hall was refloated by Marine Industries and taken by six tugs and an ice breaker to Davie Shipbuilding, Lauzon, QC where the vessel was repaired returning to service August 1st, 1966. A couple of minor groundings occurred in the 1970’s causing little damage. 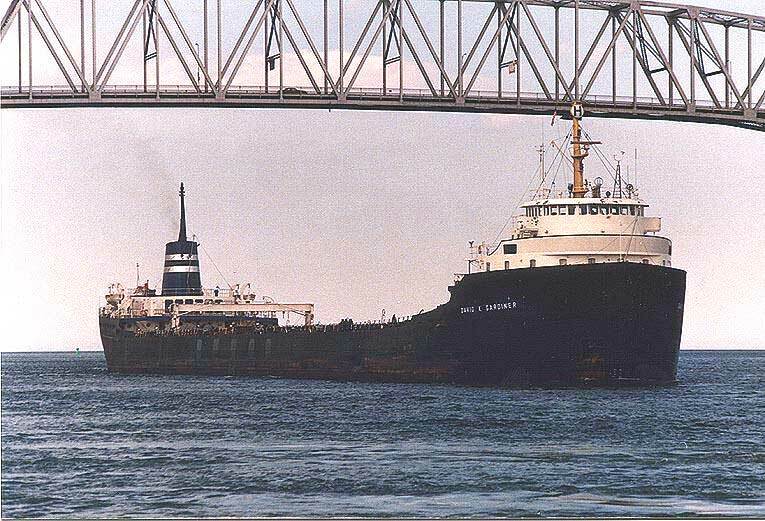 On September 4th, 1977; the Lawrencecliffe Hall grounded on a sandbar in the St. Clair River due to low water levels while downbound laden with wheat. After lightering, the vessel was released from its strand on September 7th. 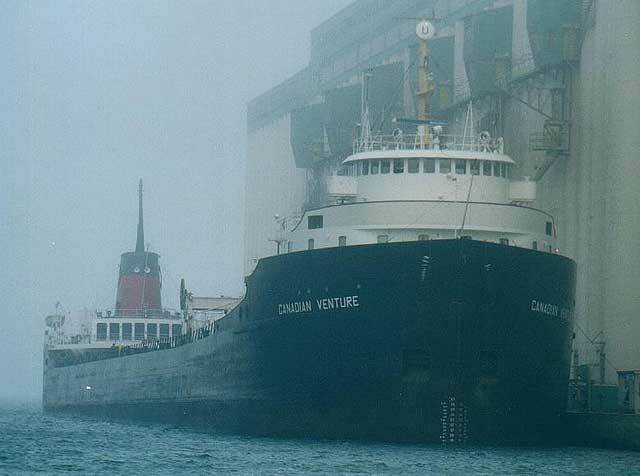 On April 17th, 1978; the laker grounded briefly in the St. Lawrence River freeing itself with no apparent damage. A second serious incident occurred late on July 21st, 1980. While upbound laden with iron ore, the Lawrencecliffe Hall rammed into the south tower of the St. Louis lift bridge on the Beauharnois Canal of the St. Lawrence Seaway near Valleyfield, QC. The tower was moved approximately 7 feet (2.13m) off its base and the laker received a large gaping hole in its portside bow. There were no injuries. Damage costs to the bridge were approximately $2 million and it was out of commission for many months. The canal itself was reopened to traffic on July 23rd with 33 ships being held up. The Lawrencecliffe Hall was taken to Canadian Vickers Shipyard at Montreal, QC where repairs to the vessel were also approximately $2 million. 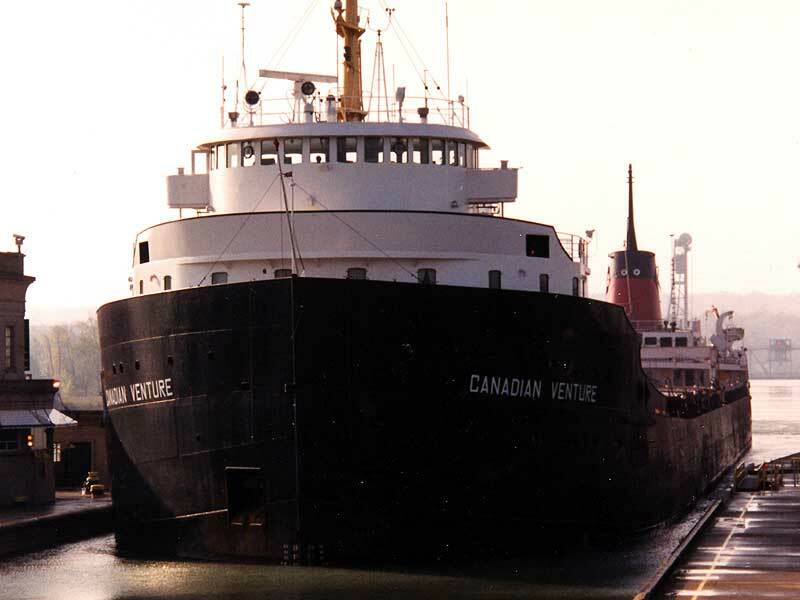 With the dissolution of the Halco fleet in late 1987, the Lawrencecliffe Hall and fleet mate Ottercliffe Hall were acquired by the Misener Transportation Ltd., St. Catharines, ON (subsidiary of Misener Holdings Ltd.) and renamed David K. Gardiner and Peter Misener respectively in 1988. The David K. Gardiner’s namesake, Mr. David Kenneth Gardiner, was appointed Misener Transportation’s general manager in September of 1979 and its president in 1982. Mr. Gardiner was named president and chief operating officer of Great Lakes Bulk Carriers, Inc. during its formation during the winter of 1991 - 1992. The David K. Gardiner received serious internal damage when, on November 11th/12th, 1988; an ore grab bucket fell into the laker’s #5 hold. 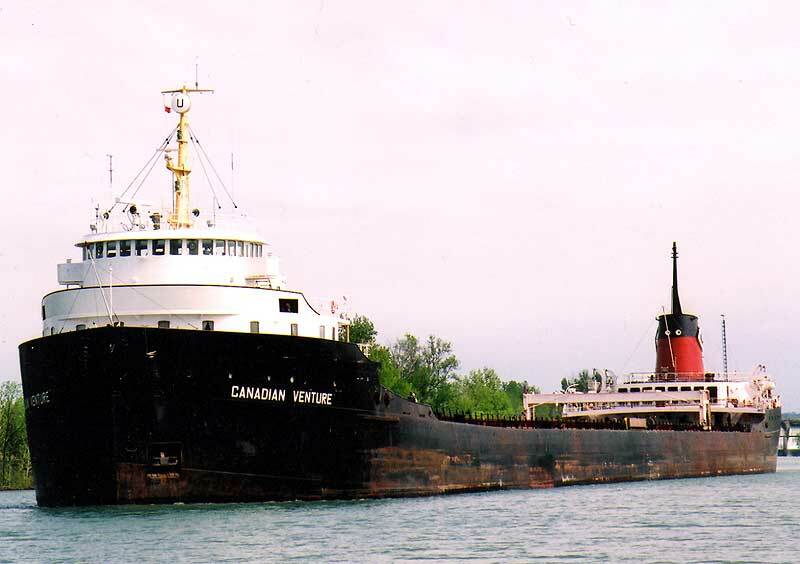 After repairs were completed at Thunder Bay, ON; the ship broke a 14 year old record by carrying 20,535 tons (20,865 tonnes) of oats from Thunder Bay to Toledo, OH. 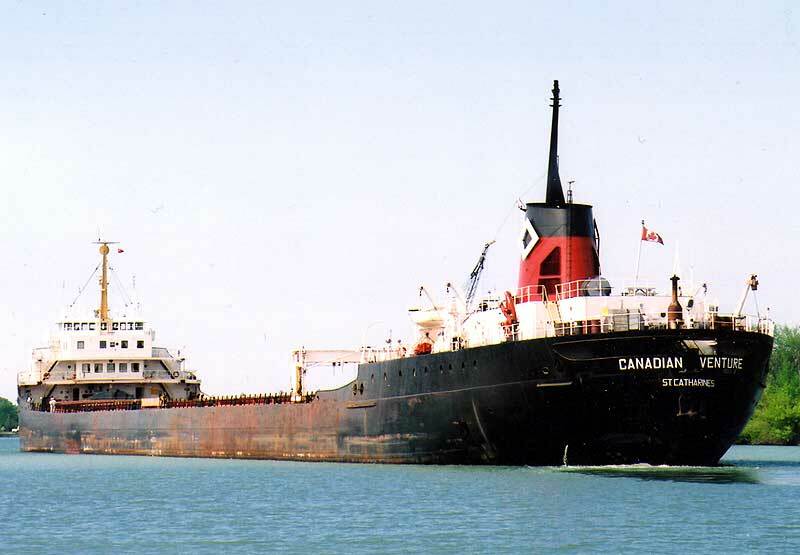 The David K. Gardiner, as with all the other vessels in the Misener fleet, became part of the bulker pooling arrangement called Great Lakes Bulk Carriers, Inc. from 1991 through 1994. 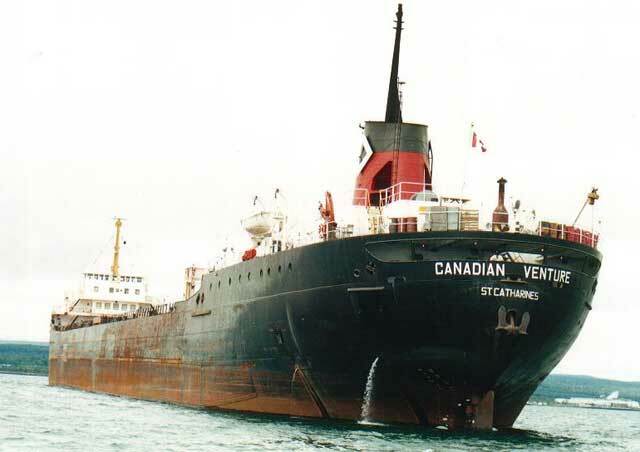 Other fleets in the Great Lakes Bulk Carriers, Inc. pool included the bulkers from Canada Steamship Lines and Pioneer Shipping. By late 1993, the general conclusion of Canadian ship owners was that there were too few cargoes for the number of carriers competing for these cargoes. 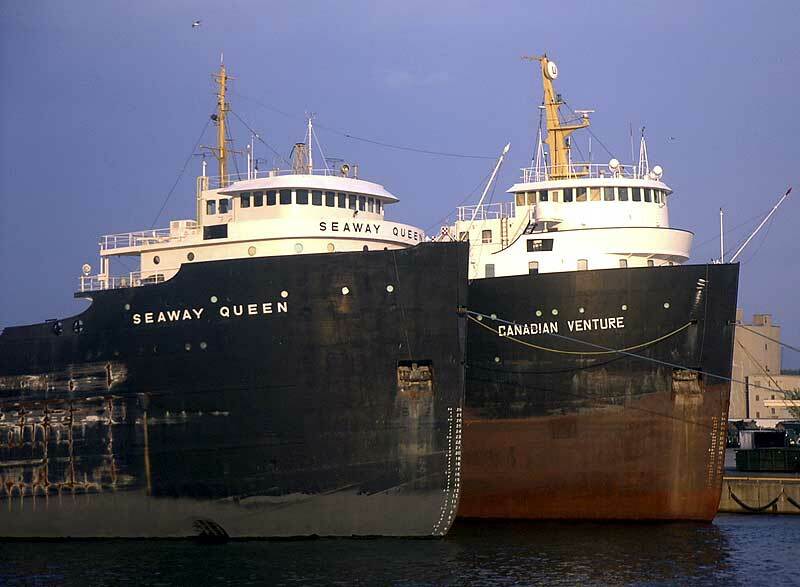 For this reason and other corporate financial difficulties, the Misener fleet was surrendered to its major creditor, the Canadian Imperial Bank of Commerce and Great Lakes Bulk Carriers was dissolved. On January 13th, 1994; the management of Algoma Central and Upper Lakes Group voted to acquire the Great Lakes Bulk Carrier fleet at a cost of $30.4 million (Canadian) split equally between the two companies. 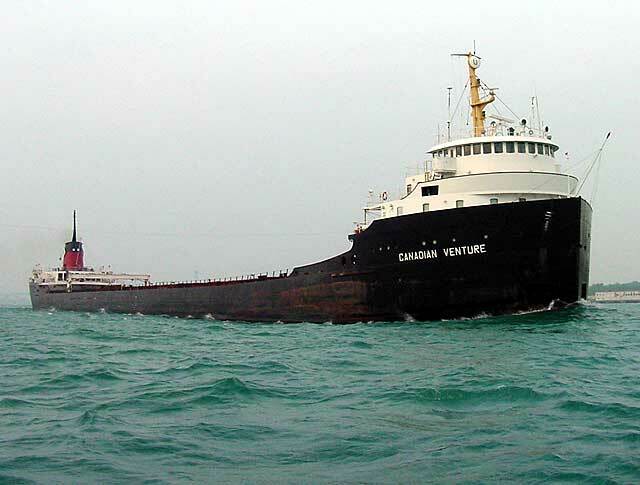 The David K. Gardiner became part of the Upper Lakes fleet being renamed Canadian Venture in 1994 coming under the management of Seaway Bulk Carriers, Winnipeg, MB; a partnership pooling the bulkers of the Algoma Central and Upper Lakes Shipping fleets. 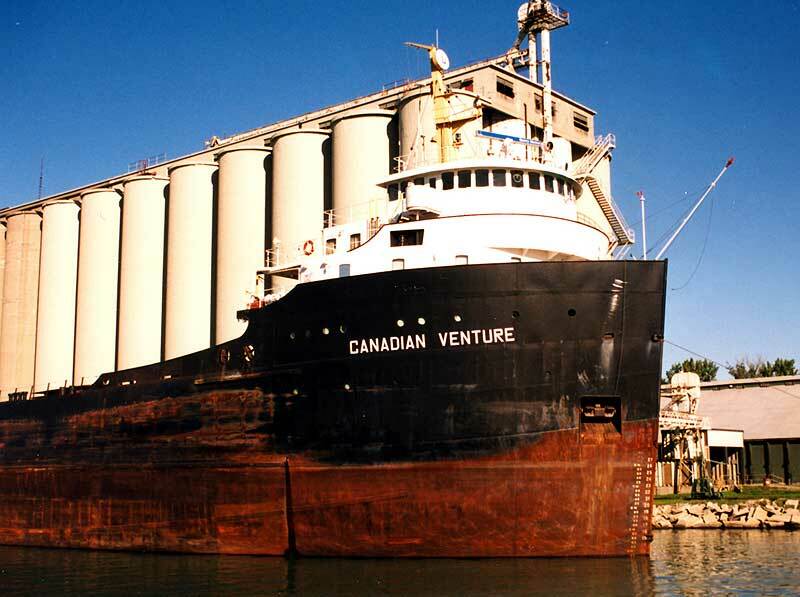 The Canadian Venture then sailed under the management of Seaway Marine Transport, St Catharines, ON following the combining of the Seaway Bulk Carriers and Seaway Self Unloaders into one fleet in early 2000. The laker’s tenure under this banner was short-lived as the Canadian Venture was put into long term lay up at Toronto, ON December 13th, 2001 with serious hold and tank problems (basically, rotting from the inside out!). 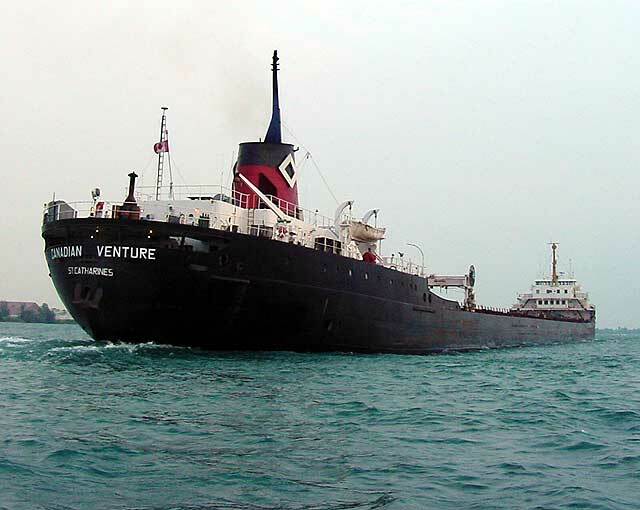 Before the vessel’s final lay up in 2001, a TV Ontario 1-hour documentary titled “Canada’s South Coast” was filmed on board featuring the Canadian Venture and her crew taking a load from Thunder Bay, ON to Baie Comeau, QC. 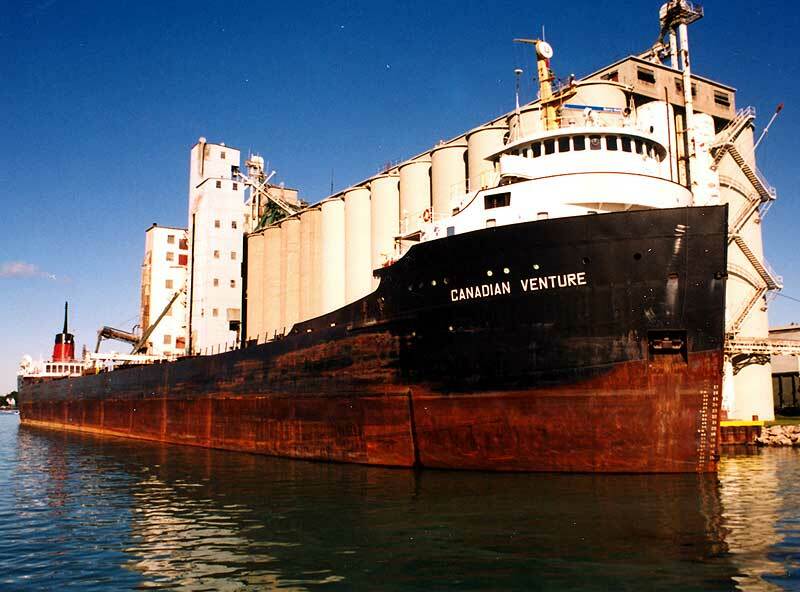 The Canadian Venture’s entire career on the Great Lakes and St. Lawrence River was spent primarily in the wheat (oats, grain, etc.) and iron ore trades with odd spot cargoes such as petroleum coke and winter storage cargoes of sugar thrown in. 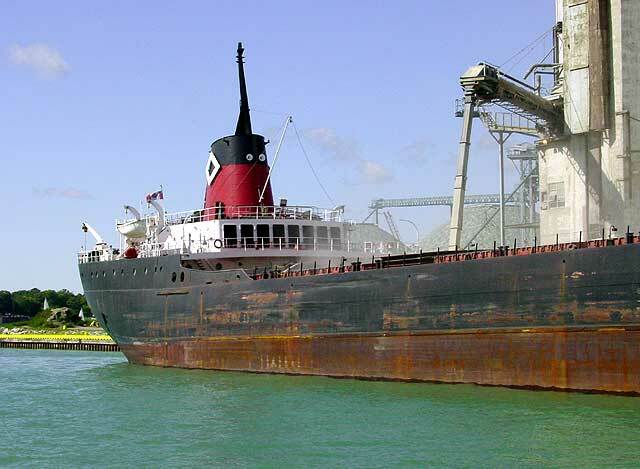 After being cannibalized for parts (including the controllable pitch propeller now on the newly rebuilt John D. Leitch), the Canadian Venture was sold for scrap departing Toronto for a final time June 21st, 2004 bound for Montreal under tow of the Upper Lakes 3,700 b.h.p. tug Commodore Straits assisted by Nadro Marine’s tugs Vigilant 1 and Seahound. On September 1st, 2004 the 7,200 b.h.p. ocean tug Strong Deliverer with the assistance of Le Group Ocean tug Jerry G, took the Canadian Venture in tow from Montreal to the Les Escoumins, QC pilot station on the St. Lawrence River. There the retired laker met up with fleet mate (and career mate!) Canadian Trader to be assembled in a tandem tow of the Strong Deliverer for a final 3.5 month (approximate) voyage to the ship breakers in Alang, India. These two lakers careers have paralleled each other from their launch; each following the other from one owner to another. Its only fate and probably coincidence that the two carriers make their final voyage together. Lawrencecliffe Hall after 1965 accident. Roger LeLievre Collection. Rudder & prop removed. Kent Malo. Toronto lay up. Craig Ritchie.